Guaranteed Automotive & Transmission Service is the trusted source for Ford service in Lafayette, IN. In fact, our car repair shop has been trusted to handle the service for virtually all makes and models of vehicles. From a complex transmission rebuild to a minor oil change, we are the best bet for Ford service in the entire Lafayette, IN area. It is easy to believe your tough Ford is practically unbreakable. However, even the toughest of cars will require service from time to time. Before it is too late, bring your Ford to the auto mechanics at Guaranteed Automotive & Transmission Service in Lafayette, IN. We don’t want you and your family to be faced with unexpected breakdown. 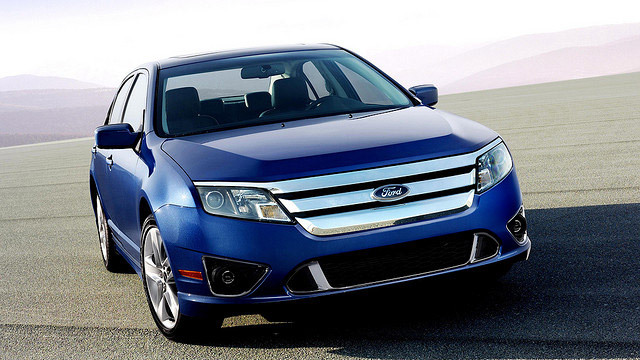 It is our duty to make sure you and your Ford are driving safely and smoothly for years to come.